In a matter of days, a certain facebook group has garnered over 700,000 members. 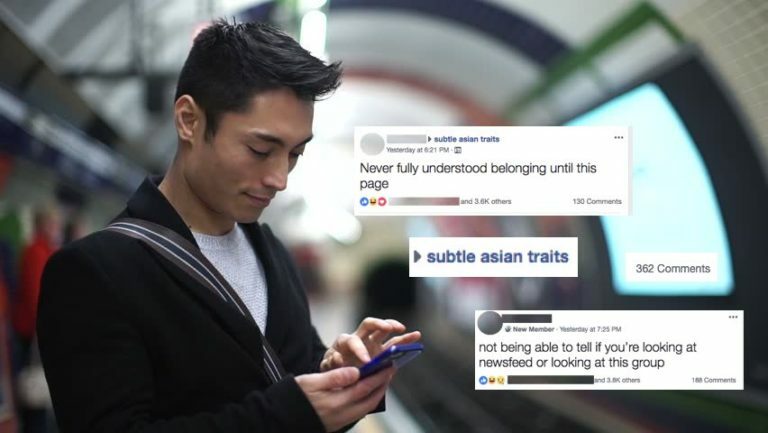 The “Subtle Asian Traits” group started as a simple gathering place for Asian Americans to bond over memes. It was created in September but quickly gained popularity this past week. The member count jumped from 4,000 to over 780,000 and is still growing. The different Asian segments are reveling in the humor and camaraderie regardless of their ethnicity. Their shared culture (and a seemingly universal love for boba/bubble tea) is what brings them together. People are sharing stories of their parents, their educational struggles, and some are even auctioning off dates with their siblings. However, they aren’t just sharing jokes. Through the use of memes, they are sparking conversation and increasing awareness about political issues and cultural events, such as the Dolce & Gabbana ad controversy. They’re even bridging the gaps between the different Asian countries. The desire to understand the jokes made in others’ languages leads members to go to their friends, ask random strangers, and even search Google for a translation and explanation. The group is so active that hundreds of new posts are submitted daily, so much that moderators are having difficulty keeping up. What is it about this group that has so many people across the country resonating with its content? Is it the feeling of belonging that members sense? Or the humor that transcends barriers of language? Either way, this open window into the Asian American culture is certainly a trending phenomenon to keep your eye on.